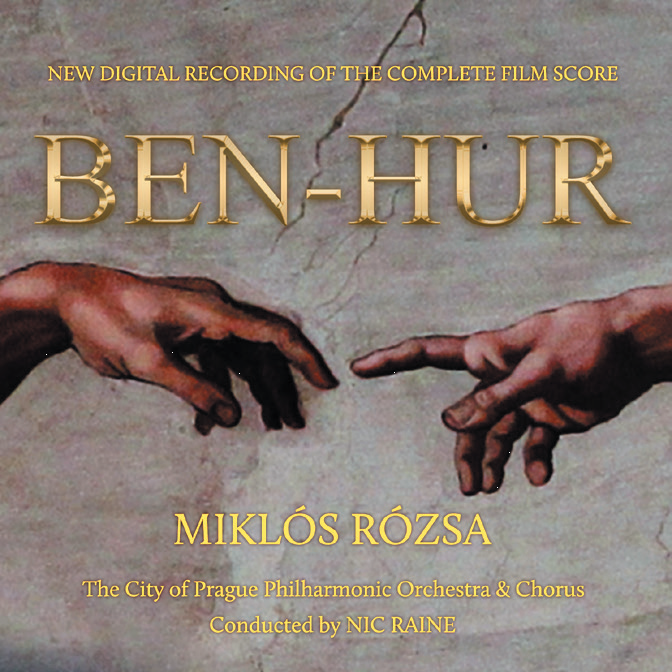 A new recording of Miklós Rózsa’s film score BEN-HUR (1959) performed by the City of Prague Philharmonic Orchestra (CPPO) in state-of-the-art digital sound has been a long-held ambition of Tadlow Music’s James Fitzpatrick and so it was that on 25 January 2017 around 90 musicians led by conductor Nic Raine assembled for the first of two days of recording, with another session booked for brass, woodwinds and percussion on the third day for the purpose of recording the many fanfares and marches. Additional sessions would come some months later - recordings being spread over a period of several months. James has been a consistent and enduring advocate of Rózsa’s music, having recorded in complete form over an eight-year period, THE PRIVATE LIFE OF SHERLOCK HOLMES, EL CID, QUO VADIS, SODOM AND GOMORRAH, and THE THIEF OF BAGDAD either on his own Tadlow Music label or for Prometheus Records. As one of the most highly appreciated film scores of all time, BEN-HUR has of course received considerable exposure on commercial sound recordings. Indeed it was only four years ago, that the complete original M-G-M film music tracks were released on CD for the first time and although those tracks will remain a unique performance as conducted by the composer, they were recorded nearly 60 years ago, and cannot be compared to the quality of current digital recording techniques. The original recording also suffered from various deficiencies and a new state of the art recording will bring a clarity to Rózsa’s score which has not previously been heard in such instrumental detail. Recording sessions at Smecky Music Studios usually take place in the morning and afternoon but unusually the two days with full orchestra were booked for the afternoon and evening until late at night, due to the logistics of ensuring the availability of all instrumentalists – specifically, not all of the brass players were available for morning sessions. 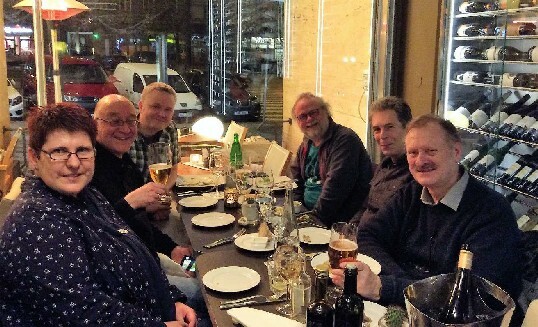 I was fortunate to be at these sessions in Prague alongside Volker and Dorothee Hannemann and on the evening prior to the sessions we enjoyed a relaxing social gathering with James, conductor Nic Raine and score reconstructionist/orchestrator Leigh Philips, who had been working on the score for many months. Entering the studio the next day we greeted the familiar indispensable faces of; production assistant/translator Stanja Vomackova and recording engineer Jan Holzner. Given the costs involved of orchestra players, studio hire etc., recording sessions rarely provide for the luxury of rehearsal time. Fortunately, such try-outs are, in any case, largely unnecessary because the sight reading of the CPPO is exceptionally good. I never cease to be impressed how the players invariably give a near perfect performance, despite never having seen the music until they begin playing it. Having said that, I think this was the first time I had seen the sessions begin with a rehearsal. Instead of doing a first take, the orchestra played the lengthy “Overture”, all the way through as a straight-forward rehearsal, prior to breaking it up in bar sections for recording takes. Pressure of time is always a major consideration and after each satisfactory take it was always straight on to the next without delay. The CPPO players always seem to be a very jovial group – sometimes perhaps too much so – and early on James emphasised that it was going to be a long day so asked that there be less “chit- chat”. But most of James’ directions to the orchestra concentrated on the balance of orchestral details. After the first take for “Marcia Romana” James said the playing should be “more aggressive…not so polite…these are Roman soldiers invading Israel”. “Roman Fleet” was another cue which needed required more assertiveness and after the first take “should sound more savage”, whilst “Quintus Arius” should be “a little nastier”. Conversely, the playing of sections of some cues needed to be toned down, such as the Christ theme in “Prince of Peace” where it was emphasised that the strings should be pianissimo. “Judea Part 1” needed quieting down considerably; “Everyone should be playing really gently…this is music for Jesus Christ” and to help achieve the right level of sound it was decided to reduce the two harps to just one. Some of the fast- paced battle/galley music was clearly difficult to perform accurately and at first take many of the players got rather lost. Nevertheless, it took very little time for them to bring it all together and the final takes for thecue were thrillingly robust. I always feel that it’s the quieter, more melodic music from BEN-HUR which reveal the score at its best and in this regard Lucie Svehlova’s solo violin playing for the “Love Theme” was exquisitely beautiful and acknowledged as such by members of the orchestra. James has said that this will be the score as written by Rózsa without masses of alternatives. Does that mean no surprises? 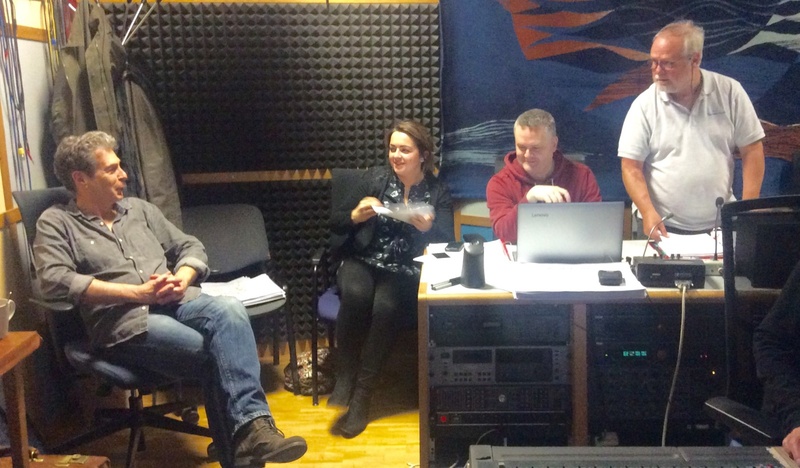 Well the recording sessions are not over yet…the two days of sessions resulted in over half the score being recorded; the rest to come later. Stanja Vomackova, with the CoPPO led by Lucie Svehlova. As an update to the above, Alan Hamer and I were present at Smecky Studios for further recording sessions of BEN-HUR on 7 & 8 April 2017. Bex Thomas, who had assisted Leigh with score reconstruction, was also at the sessions this time. The first cue to be recorded on Friday the 7th was “Escape” and the orchestra began with a rehearsal of the complete cue. 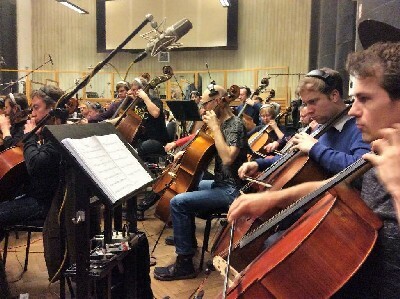 After several takes with full orchestra, additional takes were recorded solely with strings, for doubling purposes; it’s always fascinating – and a little weird – to hear only string parts for a cue orchestrated for full orchestra. “Homecoming” and “Memories (original version)” followed. The first take for the lengthy “Entr’acte (original version)” was, to be frank, rather ragged but after a couple of further takes it began to sound, as James put it, “more like it should” although he indicated that more emphasis was needed from the horns “otherwise it just doesn’t work”. It took several more takes before James and Nic were satisfied with the result. It was fascinating to hear the sombre “Dungeon” cue, composed to underscore soldiers descending dank prison stairs but not used in the film. This was followed by one of Rozsa’s most attention-grabbing cues, “Lepers”, which sounded wonderfully overpowering on the studio floor. Progress was made quickly during the day, to the extent that two cues which had been scheduled for the next day, “Procession to Calvary (extended version)” and “Carrying of the Cross” were quickly added before the end of the day’s session. Saturday morning continued more or less chronologically to the end of the score with “Recognition (original version)”, “Golgotha”, “Shadow of the Storm”, “Miracle” and “Finale (film version)”. Most of the musicians had left by the time of the final session of the afternoon when only brass and percussion players were required for fanfares and marches (“Parade of the Charioteers” etc), party music cues such as “Arrius’ Party” and the unused cue “Harun al Rozsad”. 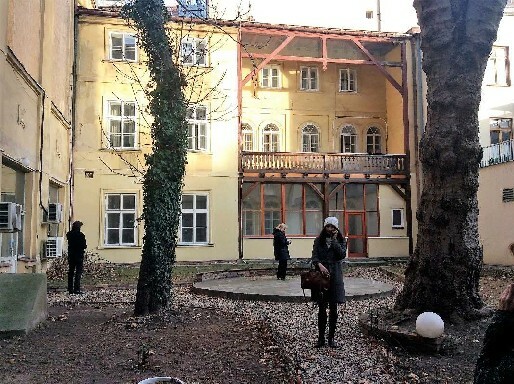 Choral sessions were still to be recorded at this stage and had been fixed for later in the month. James tends to sometimes slip in other music during sessions and in January we were surprised and delighted to have the orchestra gloriously playing the “Entr’acte” from KING OF KINGS. During the April sessions we had another surprise, the sprightly theme for “Tina Tyrannosaur & the Fountain of Uke” composed by Bex. This new state of the art recording of BEN-HUR (Tadlow’s most expensive recording to date) promises to sound phenomenal when the 2-disc CD is released later this year.